We obtained planning permission for this private tennis court on a sensitive site, outside the garden curtilage, near Oxford. 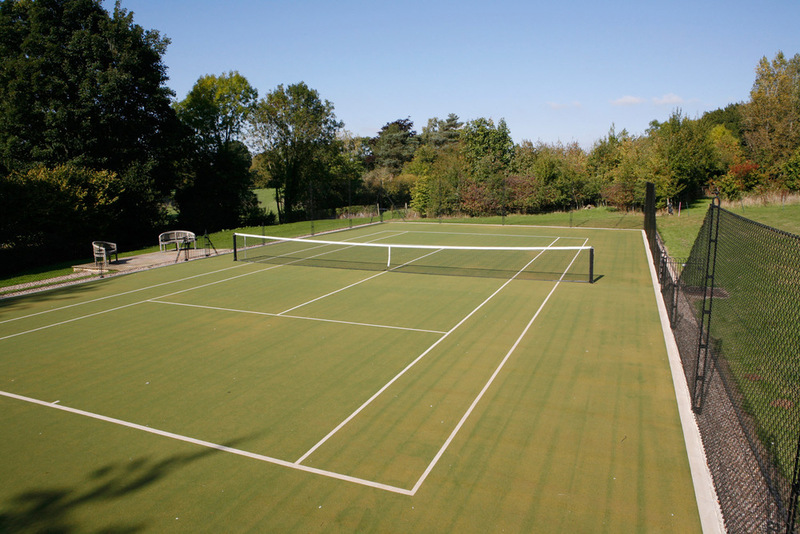 Our design and landscape appraisal included proposals for extensive contouring and tree planting to integrate the tennis court within the landscape. After considering various locations within the 19 acre site, we accommodated the tennis court by creating a large terrace enclosed by a native woodland bank. This was achieved through a careful balance of cut and fill earthmoving. The extensive earthworks and court construction were carried out to a high standard by specialist contractors, En-tout-cas.